From November 30 to December 11, France is hosting the 21st Session of the Conference of the Parties to the United Nations Framework Convention on Climate Change. This crucial conference needs to achieve a new international agreement on the climate, applicable to all countries, with the aim of keeping global warming below 2 degrees Celsius. 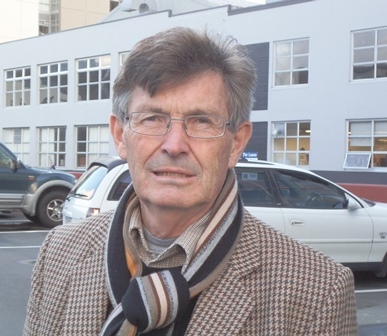 Climate change politics has been part of New Zealand’s political landscape for twenty years , and the documentary ‘Hot Air’ provides a history of these politics, plus outlines how this conference might spark change here in New Zealand. A discussion with director Alister Barry will follow. Brought to you by the Department of Political Science and International Relations. 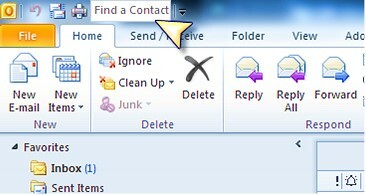 When you’re in Outlook and need to look up a Contact, here is another option that saves a click or two. Add “Find a Contact” to your Outlook Quick Access Toolbar, to enable you to look up someone’s details without having to go into Contacts and search. The Quick Access Toolbar is located just above or below the File menu in the top left corner of the Outlook window (and every other Microsoft Office program). You can add command buttons to it or remove them from it at any time. 1. Click the drop-down arrow at the end of the Quick Access Toolbar, and select Find a Contact to add it to the Quick Access Toolbar. – a field is added to the Quick Access Toolbar, containing the prompt Search People. 2. Click the search text Search People and type the name of the person you wish to look up. – Staff with that name display. 3. Click the name of the person you are searching for. – a Contact card displays showing all their Contact details. Note: you can click the details shown in blue on the contact card to contact them directly from there, eg, click their email address to create a new email message addressed to them; or click their phone number to call them. Thanks go to Karen Mather for this one. Looking for something fun to do with the family this weekend? UC Engineering and Science will be participating in the Big Science Day this Saturday. The event, run by Science Alive, is for anyone with an interest in science and technology, so bring the family out to see some of our cool toys! We will be showcasing the amazing innovation that can be found at UC, including a rocket, electric go-kart, the Formula SAE car, robots and drones. HITLabNZ will be there with their robots, and we will also be hosting an interactive chemistry show. The event is meant to inspire kids and highlight career paths in engineering and science. Other displays include Martin Jetpack, Electric Vehicles and an opportunity to build your own water rocket. The event will be held in Cathedral Square from 10am – 4pm . Raymond Thomas Lawrence was one of the great literary colossi to bestride the twentieth century. He turned his upbringing in conservative Canterbury and participation in the Algerian War of Independence into a series of novels that dazzled the world, and eventually won him the Nobel Prize for Literature.